What is ludo star and how to play it? Games are always good. Aren’t they? Well I don’t know whether you’re a game lover or not, but if you are searching for a game for your android or iOS smartphone which is trending these days that you can either play online with your friends or offline, then you’ve come to the right place. You might have noticed that people tend to use their smartphones often in social gatherings. They’re either socializing or player games. Talks, sharing information and emotions have become the things of the past. “Let’s play a game for entertainment” is the common word of mouth in the group meeting especially among teenagers and young people. 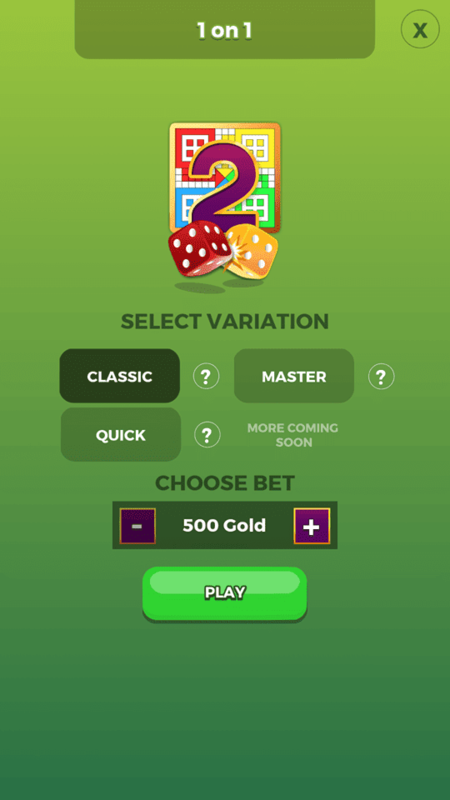 So today, what I am going to enlighten you with is about the introduction, features, modes and much more of the game called Ludo star for Android/iOS that has gone viral and taken the Internet by storm. What follows, might turn out to be a real gem for you. Before we talk about Ludo star, it’s important to discuss the origin. Ludo is a popular game which was originated from an ancient Indian game Pachisi. Ludo is the family-friendly board game that is played between 2-4 persons. Although, ludo appears to be an easy game but it has complex rules. The aim of the game is to get all your tokens inside the home pocket that is located in the middle of the board. Surely, this game has been leading the gaming industry these days. The people, in real sense, love this game. Ludo star is what being searched by many on android and iOS appstores nowadays , as it allows you to play the classic board game easily with anyone, anywhere you want! It is one of the most famous board games played across the globe. 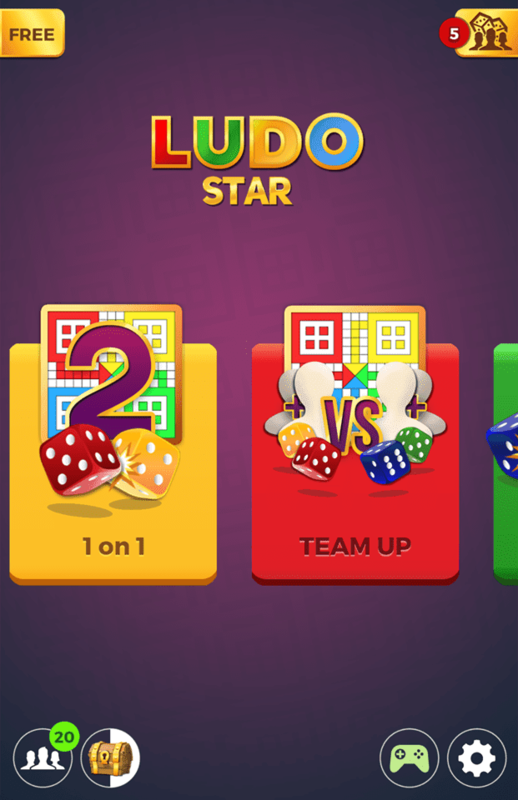 Ludo star is produced by Game Berry, by 4 indian developers and can be played online or offline. Here the question arises, how to play ludo star. By going online, you first have to sign in – eiher by Facebook or by playing as guest – HOWEVER, it’s recommended that you sign in with Facebook as this will allow you to discover which friends from Facebook are playing this game and make use of the ranking system. After you’ve logged in, you will be able to play online with your friends and other people living in any part of the world, with just few touch of buttons. 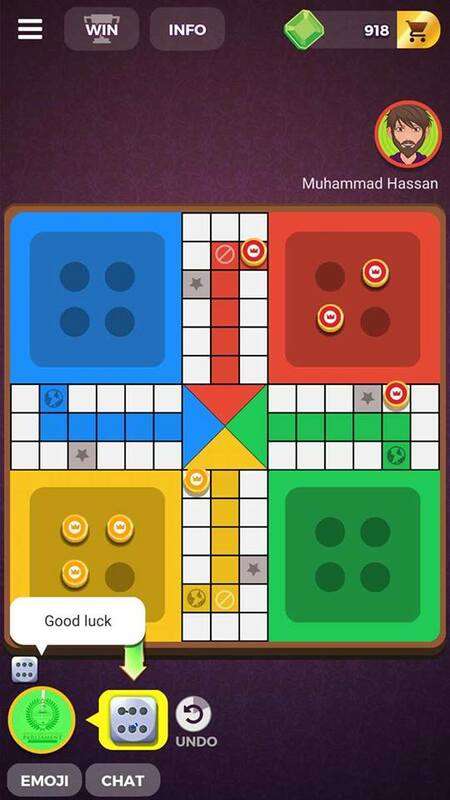 The great thing about Ludo star is, that you can still play the game even if your phone isn’t connected to the Internet, by going to “Play Offline” after starting the game. However, Ludo Star doesn’t support LAN games yet hence you will have to play using single phone and great way to do this, is to pretend that your phone is a ludo board by placing it in between. Offline Play is great for phones with big screens, however if you’ve small smartphone screen – you may not enjoy the offline experience. After you’ve logged in, it’s time to decide what mode you want to play. i.e: 1vs1, team up, 4 player or play with friends. 1vs1: 1vs1 is great for those who want to play a quick game, as you’re paired up with only one opponent. Team up: In team up mode, you’re paired up with 3 more players and one of them is assigned to be your team member. However, beware – friendly kill is enabled, as you’re still able to kill your team mate’s token! 4 player: As the name suggests, you are paired up 3 more players to play against – however in this mode, you won’t be assigned any partner/team member but that doesn’t mean you can still pair up in game. Why make enemies, when you can make friends? As mentioned earlier, Ludo star is based on the ludo board game hence majority rules are same with few different rules depending on the variation you pick. In this mode, the rules seem to be much harder than other variations In order to get your token out of the box, you must get a six on the dice which shouldn’t be hard HOWEVER. it’s mandatory to eliminate the rival at least once so that your token can move inside home. In this variation, rules are same as the original board game. One has to secure six on the dice to get each token of the box, however in this variation you can move your token inside home, without having to kill the opponent’s token. All the four tickets are required to be brought home in an attempt to secure the victory. Definitely, you have to do all this before your opponent. This mode is great for those who want to play a quick ludo game. In the quick mode of ludo star, one does not have to score 6 to be able to bring the token out as you start the game with one token out already. The first person to score a single token wins this game. If you haven’t installed this game yet, go ahead and install it today from the google app store or iTunes! Which is the best Ludo game app on the market and why? Online Entrepreneur & CEO/Founder of Thetic Blog. Thetic Blog is a technology blog that was founded in 2015, with the goal to provide our viewers with useful tips and tricks on digital and Internet resources that people can’t live without. Copyright © 2018 Thetic Blog. All rights reserved.